This type of cell is called a thrombocyte and helps protect the crocodile from bleeding excessively when it’s been injured. Thrombocytes accumulate at the site of damage and start the blood clotting process. They may also produce molecules that help to combat infection. The large sausage-shaped structure is the cell nucleus – the home of the vast majority of the cell’s genes. 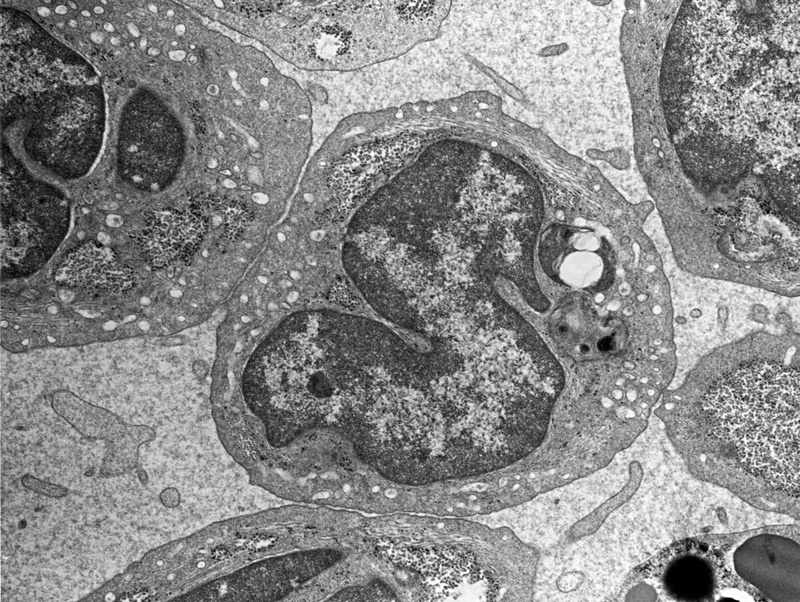 The thrombocyte is 5.5 micrometres in diameter (1 micrometre is one thousandth of a millimetre). Image: Paul Canfield Spending time with my family I had many nights sitting around the campfire where stories were told. Our family lived on the opal field in Lightning Ridge in NSW and there is a dreaming that relates to the opal and the crocodile. 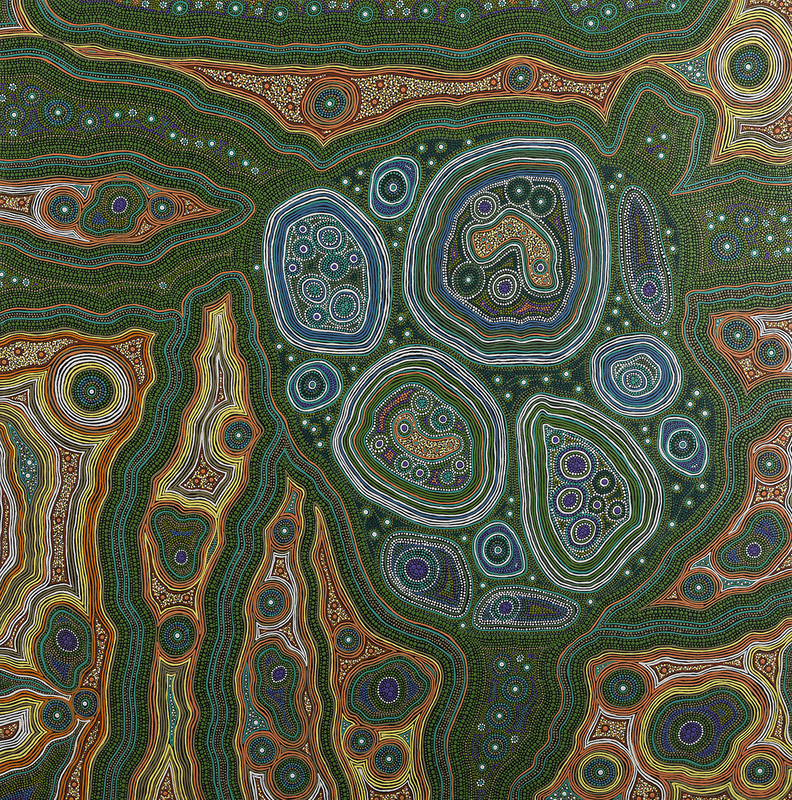 During the Dreamtime Baayami (Spirit Father) and his two wives were travelling. The two wives went for a swim in a spring, not knowing that Gurriya, the crocodile was following them. Gurriya was in love with the two women and wanted their spirits. He swallowed both women and swam down the Narran River where he hid from Baayami. Baayami tracked Gurriya to where he was hiding in a lake and speared him at Weetalibah water crossing. It is said that as Gurriya was dying a shower of rain fell and a rainbow appeared. 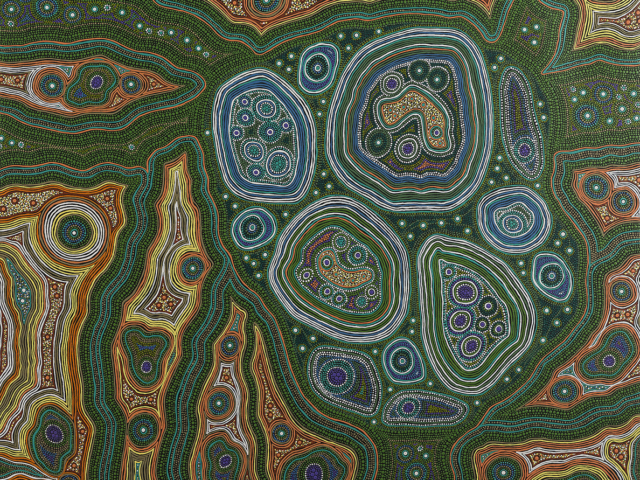 The colours of the rainbow were trapped in the scales of the dying crocodile, which is how Opal came to be. If you like this painting, Arkeria has similar ones available. Contact her through her Facebook page.